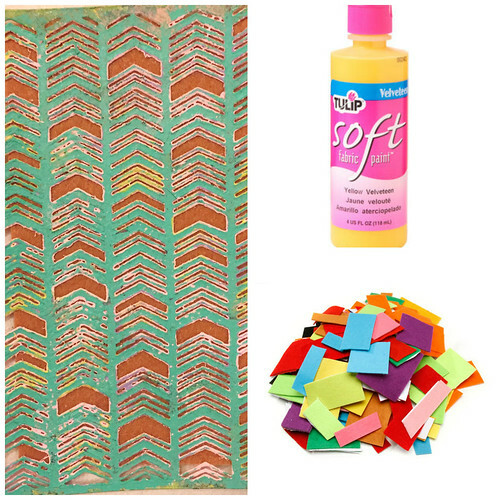 – Decorative items such as fuzzy yarn, beads, fabric strips and more. 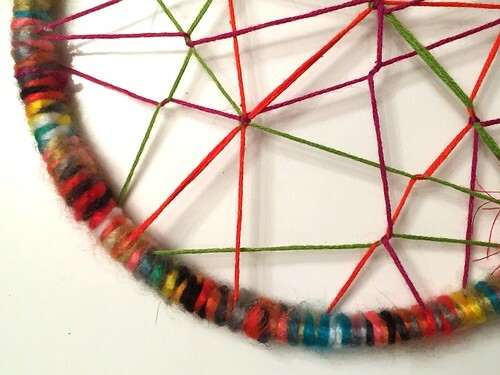 You are welcome to follow the instructions for making a traditional dreamcatcher web. I however went for a more abstract design using colorful embroidery floss. There is not a right or a wrong way, just wrap until you have a design you like. If you are having trouble with your floss sliding around on your wooden hoop use a dab of Tacky Glue here and there. 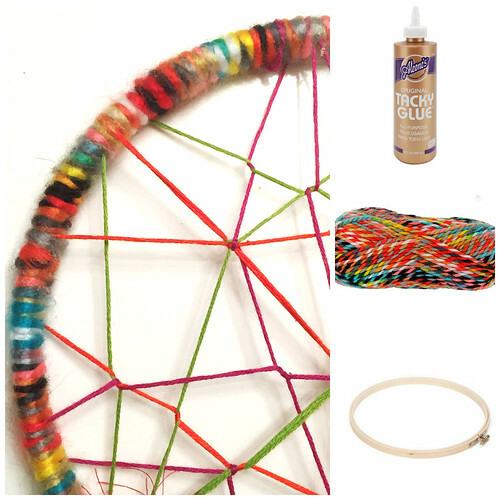 Next, using Tacky Glue wrap the embroidery hoop in yarn. You can also do this step first which will help your thread to not slide around. 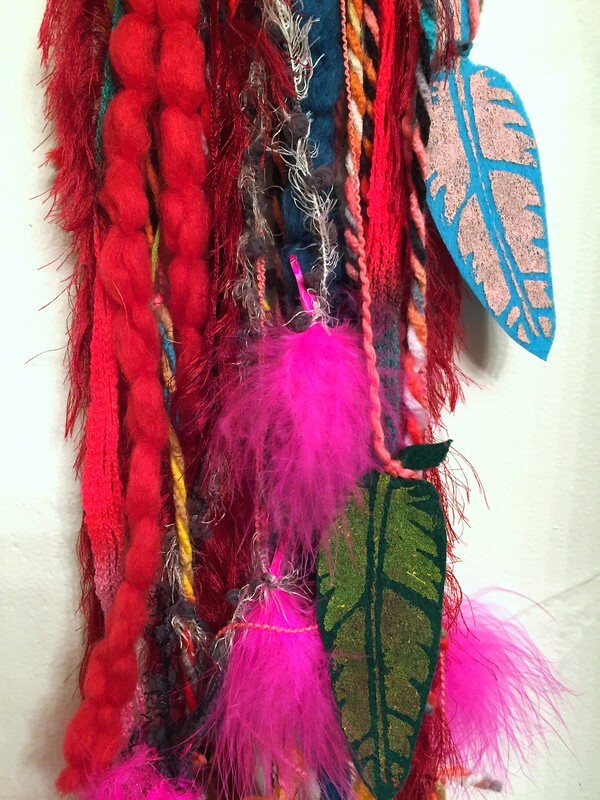 I used real feathers on my dreamcatcher, but I also decided to make my own. 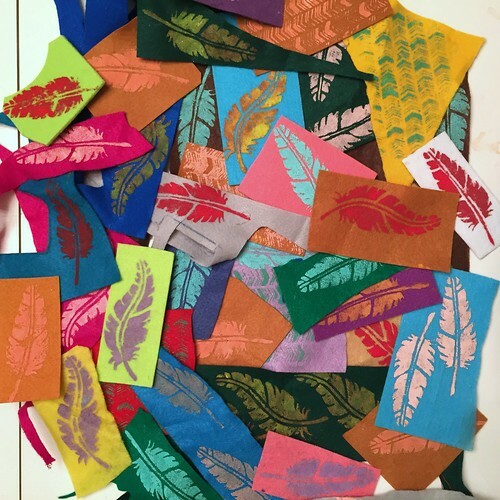 Using a combination of Stencil1 Feather Stencils and Studio Calico Chevron Masks I made felt feathers with Tulip Soft Fabric Paint. Once your paint is dry cut out your feathers. I kinda went into a feather making zone for a minute there. 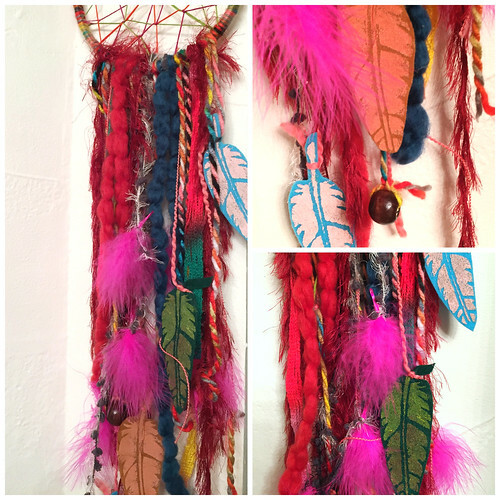 Add long strips of yarn, beads, felt feathers, fabric strips and more to your dreamcatcher. I feel like the fuller the 'tail' the better. 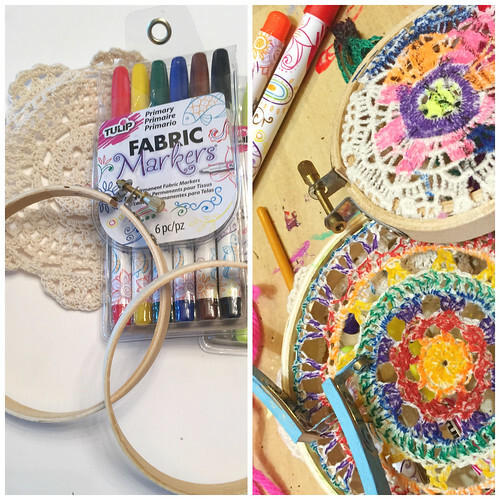 Another fun variation is using a doily in your embroidery hoop. 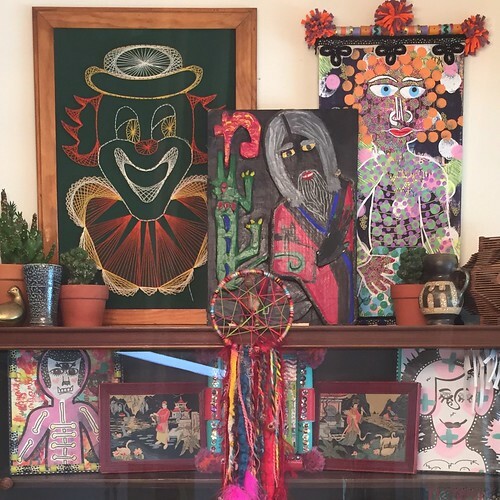 Hand the Tulip Fabric Markers over to the kids and let them decorate. I just love this, so creative! !